The transatlantic slave trade is largely responsible for bringing to the Americas enslaved Africans. 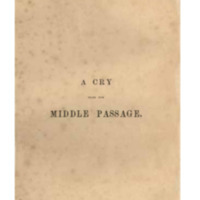 The slave trade is said to have drawn between ten and twenty million Africans from their homeland, with approximately six hundred thousand coming to Jamaica (one of the largest importer of slaves at the time) between 1533 and 1807. 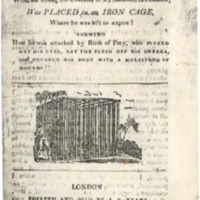 The Slave Trade collection is a bibliography commemorating the abolition of the slave trade in the West Indies. It includes a selected number of full-text items as well. 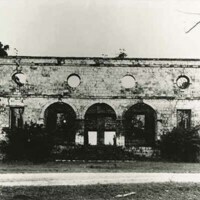 Ruins of the Orange Valley Slave Hospital in the parish of Trelawny, Jamaica.